Olympics To Ban White Guys From 100 Metres Because What's The Point? Olympics To Ban White Guys From 100 Metres Because What’s The Point? 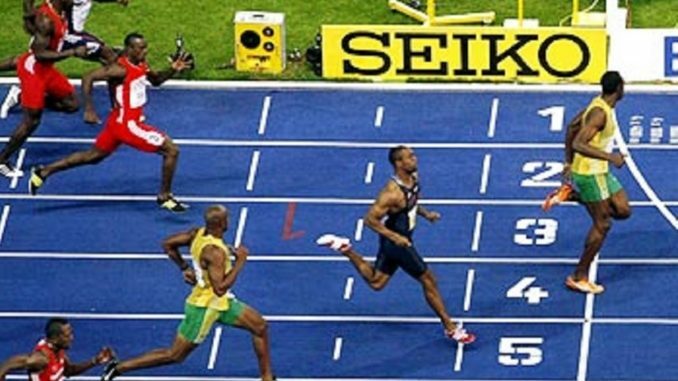 The International Olympic Committee have confirmed that white guys will no longer participate in the 100 metres because there’s just no point. Committee chairman Thomas Bach said it’s time white athletes started focusing solely on events they could actualy win. Athletes of African origin have dominated short distance running for nearly 40 years now as well as other events such as middle distance running and long distance running. Also the hurdles and relays. And the steeplechase. And the long jump and triple jump. And the decathlon. Lassano Moses is chairman of the African Olympic Committee and he said white athletes shouldn’t get disheartened. Mr. Moses then continued laughing hysterically for approximately half an hour.